Venue Security is an area that our staff has a great deal of experience. It is the one area of expertise that our teams' experience and knowledge is unmatched. 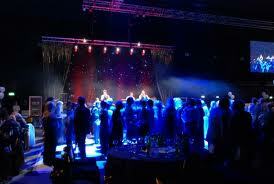 We have secured large and small venues domestically and internationally. We have helped secure crowds with anywhere from 1,000 to 1,000,000 people in attendance. Not only are we able to secure crowds, but we have the ability and knowledge to teach your staff how to do so properly. Whether it is company party, seminar, gala, benefit or some type of function that will have many guests and you want to make certain that it runs smoothly without any outside interruptions or distractions, then ESS Global Corp is the right choice to ensure your peace of mind. Our staff has years of experience working such types of events. Our agents have the ability to easily blend in as to not draw attention to themselves or operate in a high profile so that guests know immediately that the event is being secured. Whatever your need is, we will fulfill it. Our threat assessment and security advance specialists make our event security team one of the best the industry has to offer. Every venue we secure will be given a proper advance by our agents. A full threat assessment will be performed and a security plan will be put into effect based on the information gathering during the security advance and threat assessment. It is our responsibility to our clients to take care of everything down to the last detail from a security standpoint so that their event can proceed as smoothly as possibly. If it is an event you need secured or you need your event security staff trained properly, then ESS Global Corp is the only choice!